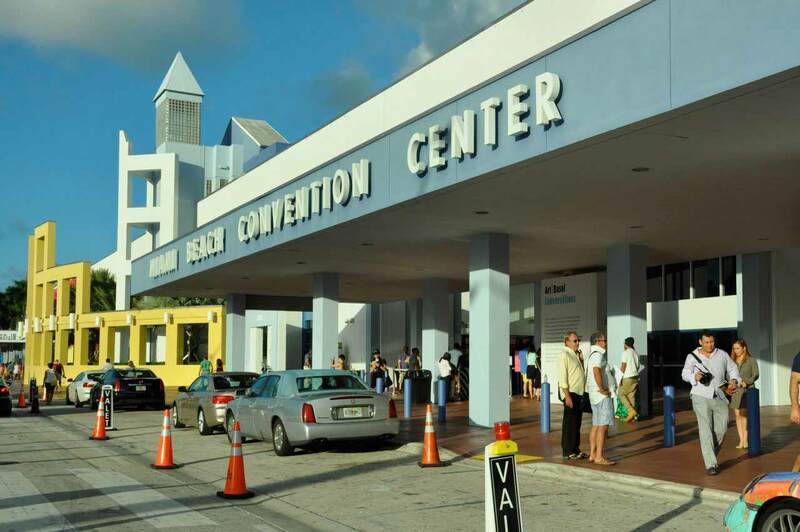 Managers of the Miami Beach Convention Center are planning to ration convention space during the three years a center upgrade is under construction. The city commission’s May 20Finance Committee meeting is to settle on a list of priority conventions and events so that from 2016 through 2018, as the center undergoes its long discussed and debated renovations, select events will still be able to go on, said city staff. Trimming down on conventions while the center is under construction should aid in getting center renovations completed within 36 months of groundbreaking, said Max Sklar, city director of tourism, culture and economic development, at a Miami Beach Convention Center Advisory Board meeting Tuesday. But even making it onto the priority list won’t guarantee the same amount of space during center construction. Convention center sales staff has already be working with certain events to see if they could scale down during construction. “One of the reasons [the city commission] is pushing this is that this could impact design criteria. The clients need to know how it’s going to proceed so they can proceed in the future,” Mr. Sklar said. Approving a prioritized list soon is important to the city, the convention center staff and the Greater Miami Convention & Visitors Bureau, which books conventions, because it will afford time before the center undergoes construction for sales teams to work with longstanding conventions. Losing conventions because of center construction isn’t anybody’s intention, and although renovations are needed, they shouldn’t come at the cost of lost business, those at Tuesday’s meeting said. Conventions like the eMerge Techweek and Art Basel are all on the priority list, Mr. Sklar said. The convention center staff and city would like to give these conventions and other large shows enough time to plan for 2016 through 2018 events that might look a little different because of construction and renovation. But just because the center won’t be able to accommodate all conventions and events while it’s undergoing construction doesn’t mean it wants to lose business. Center staff will work with events to find suitable alternative locations and maintain a positive relationship with the event staff during the construction, Mr. Balsam said.